For centuries people have risked their lives and committed unspeakable crimes to discover the secrets of The Tree of Life. Times have changed, but not human nature. Sylvie Leroux, a young archaeologist and adventurer, is working to solve the mystery that surrounds the legend, but is tempted by the same promises like so many others before her. 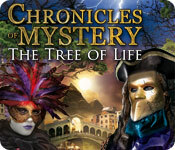 Dive into Chronicles of Mystery: The Tree of Life, a fun Adventure game. Find the Tree of Life! Chronicles of Mystery: Tree of Life is rated 4.3 out of 5 by 22. Rated 5 out of 5 by Taintedfury from Intrigging & Adventurous.. I throughly enjoyed this game,, to me it was in the same field as Syberia. Some tasks were changelling but it was well worth it.. Great storyline, truly enjoyed the graphics for this game and beautifull places too visit.plus the music added the suspence.. Rated 5 out of 5 by Landofoz from Excellent Adventure that Harkens back to the "old days" I really liked this game. It was immersive and made you think. You had to solve puzzles and consider how to get out of situations rather than just find an object in a "hidden object" scene. 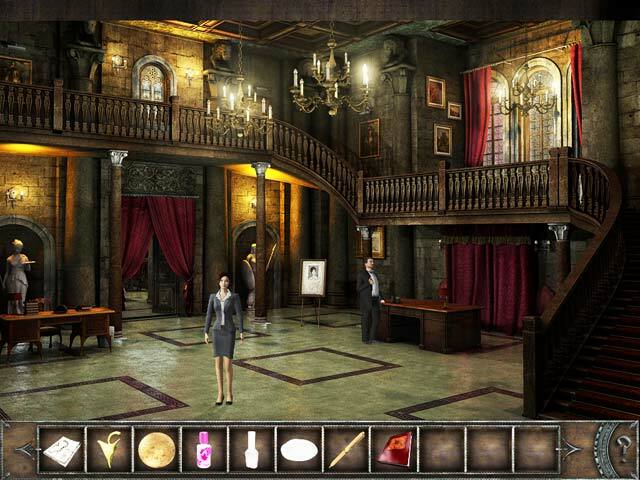 This reminds me of the games I used to play when PC adventures were KING - Gabriel Knight, Syberia, Indiana Jones. Worth the price. Yes sometimes the dialogue is long but you can read it fast and skip thru if you don't want to listen. Graphics were good, game play good. If you liked the old adventures that were part puzzle, part inventory-based solutions, then this game is for you. I wish Big Fish would convert some of the old classics for download such as the Star Trek games, Kyrandia, Indiana Jones, Gabriel Knight. I would be in heaven! Rated 5 out of 5 by twobighands from What games should be! If you like games like Syberia and Mysterious Island,games that make you think and have a Great storyline,you will enjoy this one. Rated 5 out of 5 by mummy1st from Fantastic long advanture game This is a realy nice game if you like the Nancy Drew, Siberia, Art of Murder, etc games. You realy have to think what to do next. There is no Help buttom only ? buttun, which shouws only the places where you can go. I played this one for a vieuw days! FANTASTIC. Realy worth you money. The only minus thing is the ending. Rated 5 out of 5 by coha92 from An unexpected great ending! You get involve with Nichole and her search for articles linked to the Tree of Life. It looks like a movie-game where you help the main character and you are part of the development of the story. It's better than a movie because you are part of it and you need to finish all tasks to see the incredible ending. I love long files because they are out of the extraordinary with difficult challenges no seen in regular games. Don't feel bad if you have to look for help in a walk-through site because sometimes even with the walk-through you have to accomplish a lot on your own to finish the tasks. Rated 5 out of 5 by Sergeij from chronicles of mystery the tree of life I thought quite highly of this game and found it to be engrossing, exciting and challenging. Some of the dialogues were too long but they could always be cut short at the player's discretion. This is another game that I would place on the top level with Syberia, Syberia II, Chronicles of Mystery: The Scorpio Ritual, Journey to the Center of the Earth, the Nicole Bonnet Art of Murder Trilogy and the best of the Drew series. But, what happened to Sylvie Laroux at the end? Rated 5 out of 5 by Nana6177 from THIS is an Adventure game! Now THIS is what an adventure game should be! The story is interesting, the graphics/video (not sure which to call it) is great. Why can’t they have this visually in ALL pc games of our genre? There are no HOG’s (yea!) you do have a ? button, call it a hint button or a map of sorts. I used it! This is not an extremely difficult game to play. If you’re not familiar with adventure games it may be confusing at first. Please don’t quite. Use that ? button! 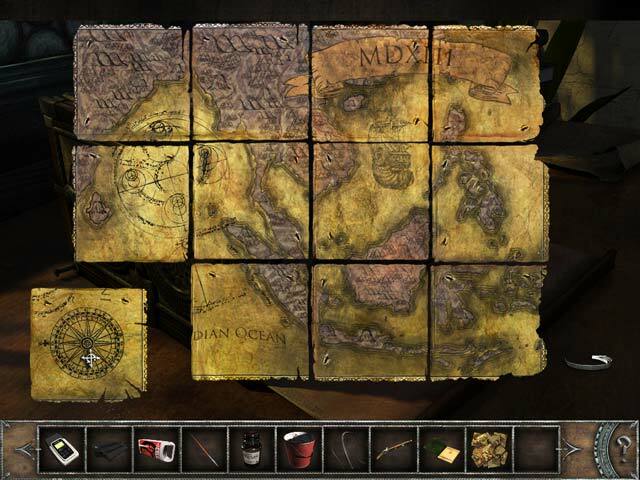 You play an archeologist who investigates an antique chest and that leads you to different parts of the world and into a story that is fascinating. There is quite a bit of conversation between your characters so be prepared for some reading. At first it was a little disappointing at the amount of conversation, but then it just becomes part of the story and helps to relate to the characters. There is even some humor and funny situations (fountain in Venice), actually made me chuckle. It has some length, I played several hours a day and it lasted for 3-4 days. I definitely got enjoyment and my money’s worth. I hope you will try to play. BFG also has a walkthrough, and there will be times you will probably need to refer to it, I did. Rated 5 out of 5 by Jenne30 from One of my favourites This game was my second "Chronicles of mystery" game, and its even more exciting and more tricky as "Chronicles of mysteries: The Scorpio Ritual". 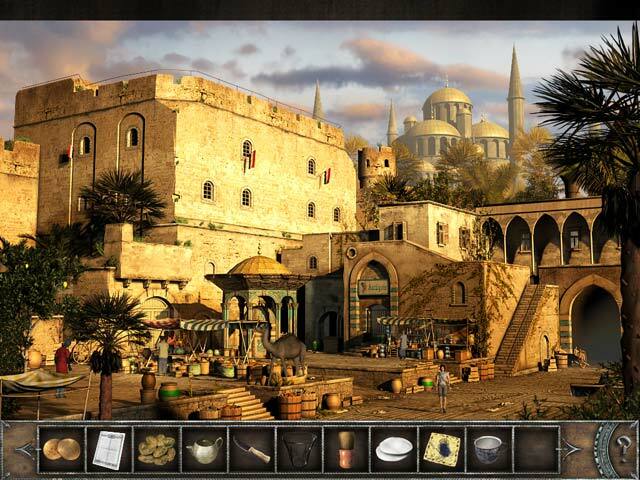 Excellent Graphics, some very difficult things to solve. For players who loved "Scorpio Ritual", they will adore this one. Definitely one of my favourites.